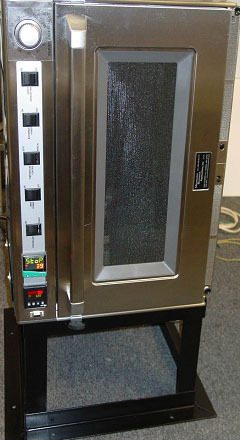 Microwaves used for general processing may be used for heating laboratory samples, preparing solutions, drying, and heating samples or products. The range the microwave can be used for industrial, research, quality control processing is almost unlimited. Often people need cavities to be taller than a standard off the shelf microwave, for those people we often design a frame and modify a microwave to operate on its end to make a cavity taller than the normal 9 inch tall microwave oven cavity. In doing this, we can provide cavities as tall as 21 inches.